Ever pressed the Caps Lock or Num Lock by mistake only to be frustrated because your work got hampered? Feeling unsure about key presses because it often cannot be discerned whether the Caps Lock is On or Off. Fret no more, by using any of the following software; you will be able to know the present state of your keyboard Typing anytime and anywhere. These programs exist to aid you especially if you do not possess a backlit keyboard, wireless keyboards and most laptop keyboards. Some display a balloon popup or display a small notification on the taskbar when the state of toggle keys varies, and some others make a sound notification to alert the user. Have a look at the listed Keyboard Indicator programs to determine which will serve you the best. Keyboard LEDs is simple, small and extremely easy to use software that is used to indicate the status of the keyboard. It displays the current state of Caps Lock, Num Lock, and Scroll Lock on the screen. It is an extremely helpful program for wireless keyboards which do not have LED indicators as well as for notebooks and keyboards. It remains within PC’s system tray and has numerous customization options built-in. It displays an icon within the tray and one can choose from a range of colours different ones for Caps lock, Num lock and Scroll lock. 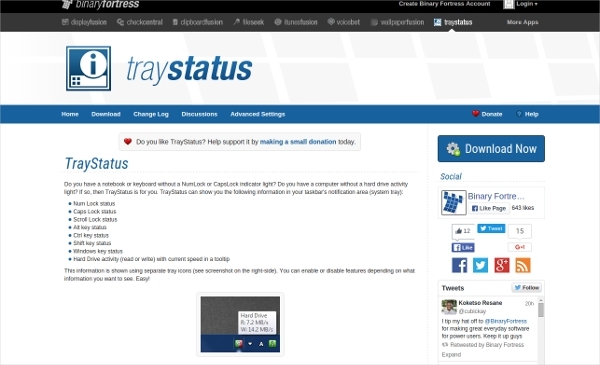 Tray Status is a free program used to indicate keyboard status, it allows the user to check up on the status of the numerous keyboard keys in PC’s system tray. The keys are Caps lock, Num lock, Scroll lock, Ctrl, Shift, Alt and Win. The active state and the inactive stage are marked by green and grey icons respectively. Alomware Lights is quite an easy and frivolous software which allows the user to know the present state of Num lock, Caps lock and Scroll lock keys within the system tray. To make the user aware of the present LED status of the keys, it alters the colour of the respective key to Orange from Purple within the system tray. The software also allows the user to permanently switch the toggle keys on or off. DK: Keyboard-Status is quite a simple and user friendly software to indicate keyboard status compatible with Windows. 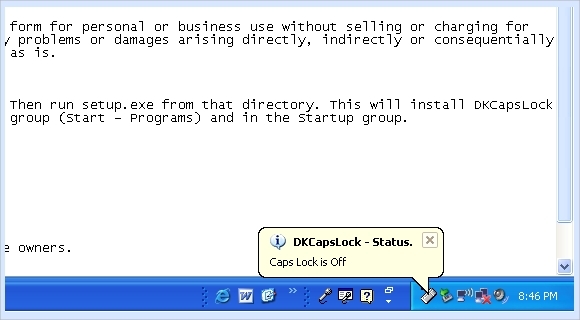 It shows a popup message in the system tray to indicate a change in the status of Num lock, Caps lock and Scroll lock keys. The program is just 19KB in size and is probably the most portable in the list and is quite helpful in the absence of backlit keyboards. Keyboard Notifier, quite small, just about 17 KB and is very easy to carry around on a portable devise such as a flash drive. 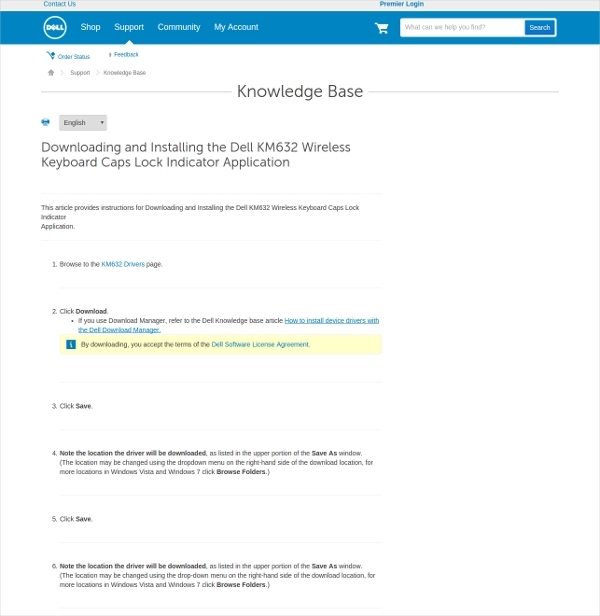 It notifies the user regarding the current status of the Num lock, Caps lock and Scroll lock keys in the system tray. It displays colour bars for the toggle keys and allows the user to customize the colours. We have tried our level best to provide a list of the most user friendly keyboard status indicator software. Please browse the list and down the one which is perfectly suited to your needs.